If you are looking for psoriasis cure in ayurveda then there could be no better than Taps Ayu Health Care. There are no side effects and results are guaranteed, our past clients will bear testimony for the same. Get rid of this skin disorder by consulting fully committed resident doctors today! To treat psoriasis, perfect combination of the right type of herbs and minerals is necessary. We first analyze the exact type of skin disorder before formulating an efficient remedy for curing the problem. Doctors here use Ayurvedic formulation known as Sorocare Pack – ayurvedic medicine for psoriasis treatment that is anti-allergic as well as having anti-fungal, anti-bacterial and blood purifying properties. Controls blood glucose = Aayuneph Pack is used for treatment for diabitic nephritis as it has the ingredients that can control sugar levels in the blood. Its long term usage can help patients to reduce dependency on insulin. Prevents Metabolic acidosis – Alkaline contents in Aayuneph Pack regulate acid secretion and maintain desired PH value in human body thereby preventing metabolic acidosis. Reduces intraglomerular hyper tension & Proteinuria – Aaayuneph Pack works as Ace inhibitor and is thus, instrumental in reducing intraglomerular filtration pressure or hyper tension and proteinuria. Our Sorocare Pack strikes Out a perfect balance between pitta and blood. This facilitates total control over urea or acidic reactions and easy circulation of blood deep into the skin tissues that in turn ensures complete normalization of body pigmentation. Avoid eating sour and acidic foods as well as fruits. Avoid eating all types of bakery items and fermented foods. Avoid eating wheat and fine floor in your daily food. Avoid taking cold drinks, fast foods, ice creams, ketchup and sauces. Stop having fruit jam, preserved foods and preserved juices. Avoid eating sweets in any form, chocolates, Cadbury, paneer, etc. Except almonds and resins, all other dry fruits must be avoided. Consumption of alcohol and alcoholic beverages must be totally stopped. Avoid use of common salt in food, have only rock salt in minor amounts. Only boiled eggs and some types of fish can be had but with doctor’s permission. Avoid having onion, garlic, red and green chillies or chilli powder. Avoid eating fried food items completely. Avoid having milk shakes, fruit salad and milk can be had only after half an hour of eating fruits. Hundreds of people come to Taps Ayu Health Care to receive Ayurvedic treatment for Psoriasis every year. Doctors here follow holistic approach while treating patients as a result of which results are guaranteed and clients fully satisfied. Apart from providing the best treatment for Psoriasis, patients even find our fees highly affordable. We also provide residential treatment to patients who are travelling from other cities of India and countries to get treated. Is Ayurveda Safe For Curing Psoriasis? Yes. Ayurveda is definitively the most ideal remedy for treating psoriasis unlike what many people may think. With our best medicine for psoriasis in ayurveda, there are no chances of any kind of side effects. TapsAayu Healthcare is one of the premier companies that make research based herbal medicines. While treating patients for various types of disorders, we strictly stick to ethos and traditional values of ancient science of Ayurveda. 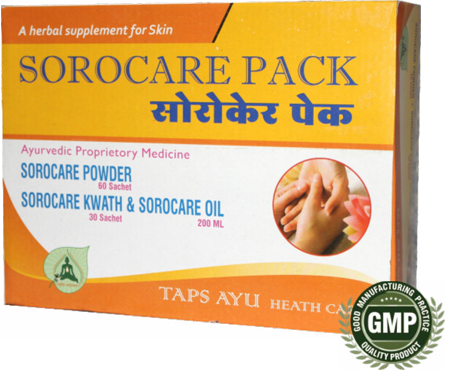 Sorocare Pack developed by us is a perfect combination of herbs and minerals that can heal scalp psoriasis and cure other skin disorders. It helps in removing toxic waste from body and facilitates skin pigmentation. 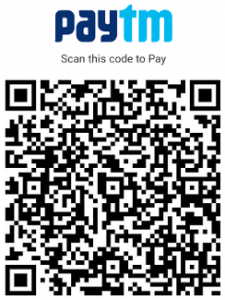 Taps Ayu Health Care is research base herbal medicine manufacture company. It is synonym of quality, purity and transparency. As it is concerned with Ayurveda company has its own ethos, without deviating from traditional values of ayurveda. Our remedies are our effort to change ancient ayurveda medicines into “Modern standardized ayurveda”. All products research at Taps Kayakalp ayurvedic center.